It's April Fools day and it gives all vendors an excuse to put on a small sale before Easter. 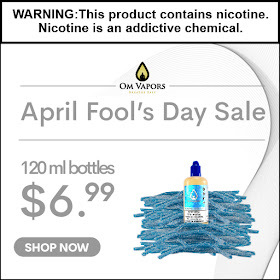 Here we are with 120ml bottles for just $6.99. I was told all 120ml flavors are at that price.